*Lal Dupatta Udh Gaya Re Bairi Hava Ke Jhoke Se*? Thank God These Fusion Sets Don't Need One! The evolution of Indian wear is getting more stylish by the year... better yet, more convenient by the year. No grace lost, a million life hacks found. 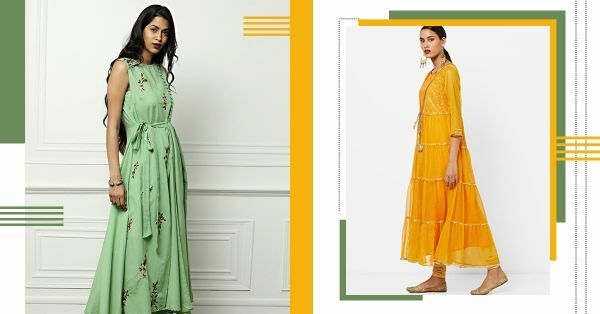 When it comes to easy-to-style desi wear, there's one hack Indian women are glad to have on their side. Even though we love the dupatta in all its 2-meter glory, sometimes it's a whole lot easier to go without it. With all that gota work who needs a dupatta? All the better to dance in! Add statement jhumkas and juttis to your outfit and you're gold. We're a fan of breezy Jaipuri floral prints and especially when there's two of 'em! 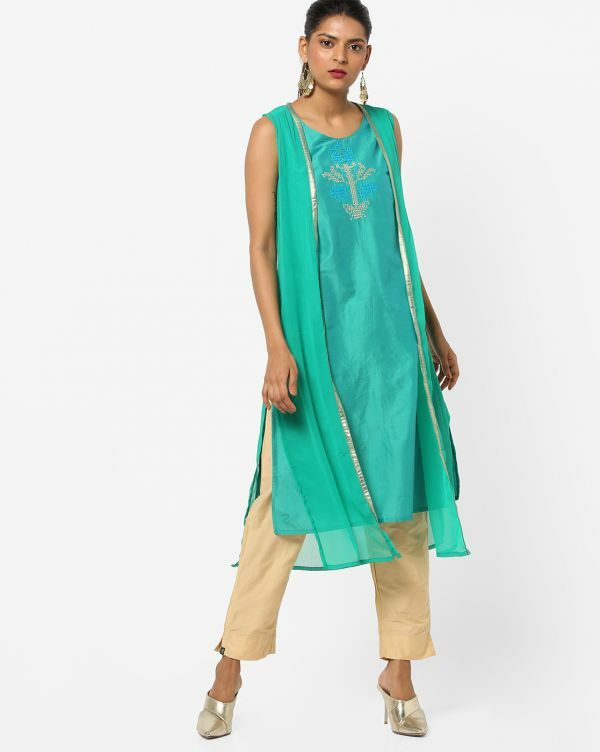 This suit set with a casual kurta and tiered skirt is a perfect pick to run errands in. You don't want a dupatta annoying you while you're shopping, trust me. 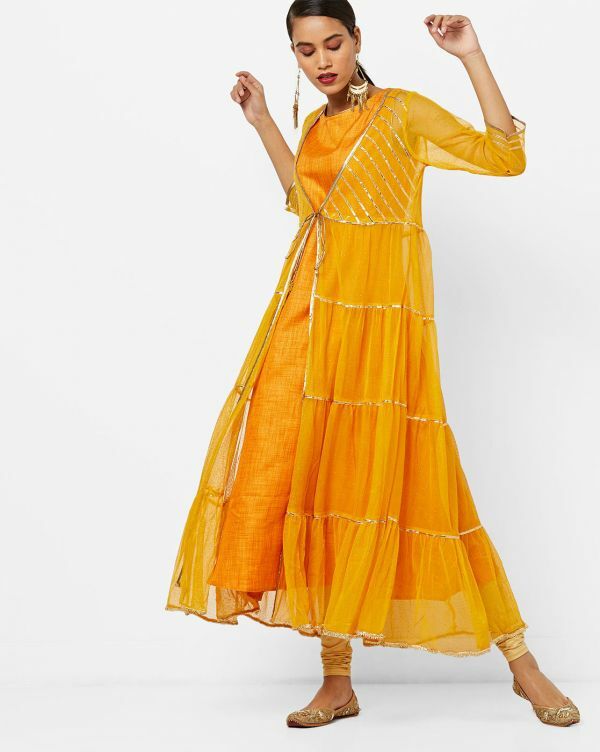 Diwali festivities are going to be a cakewalk with suit sets like this around! With a teal cropped jacket to brighten things up in this cream ensemble, it doesn't need a dupatta to shake things up. 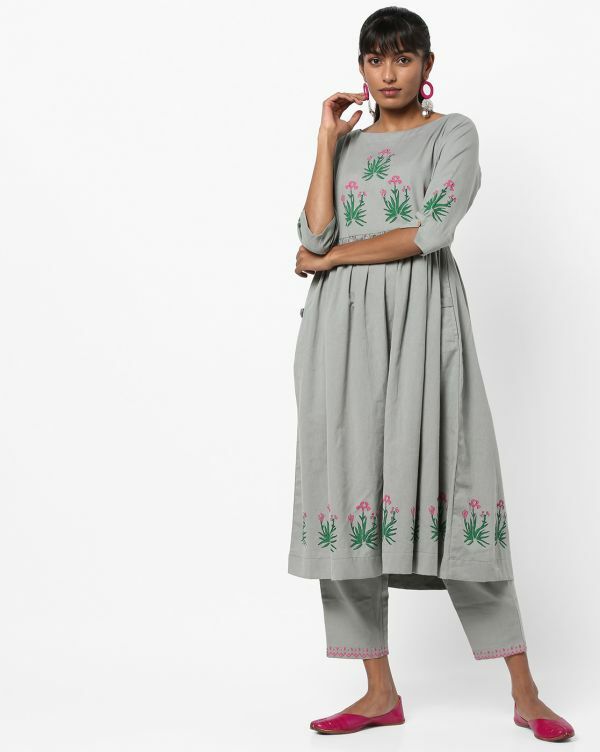 Whether it's a movie date or just a lunch with your girls, this lilac kurta and cropped pants suit set is a fusion look that looks 100x better than it would with a dupatta. Agreed? Is it a trench coat? Is it is an anarkali? It's a bit of both, TBH and it is a lovely shade of mint! It is ALSO an outfit you don't need to add a dupatta to. Burgundy is about to be big in autumn and we recommend a chic combination like this kurti and dhoti pants for your desi wardrobe. 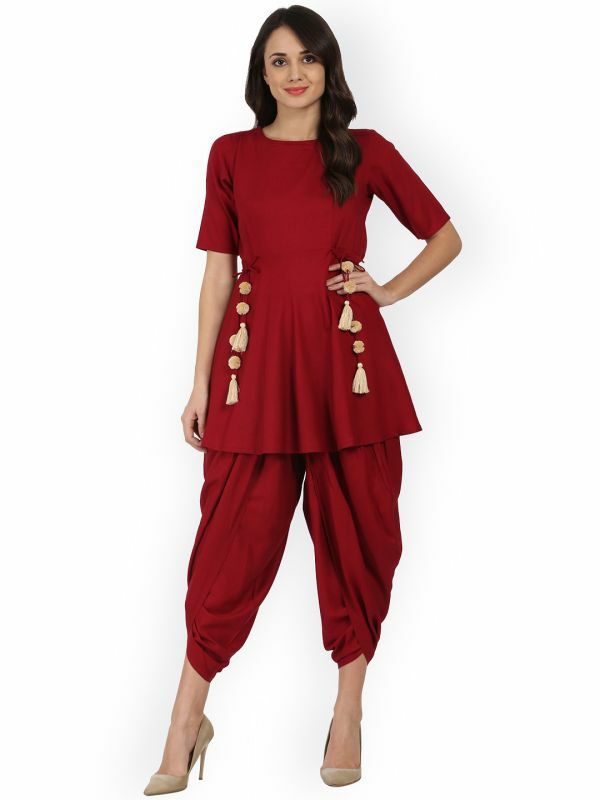 You don't need to carry a dupatta with this suit set thanks to the fun tassel statement detail and edgy pants. Pink is an all-year-round colour but that's not why we're in love with this suit set. Here's why - the delicate pink and white floral embroidery along the colour, the printed palazzos AND the fact it's just as graceful without a dupatta! Pick a desi suit set with a flowy jacket if you love the vibe of a dupatta but hate the hassle that comes with it. This teal number is perfect, isn't it?